Stud, stud, stud! Anything stud! 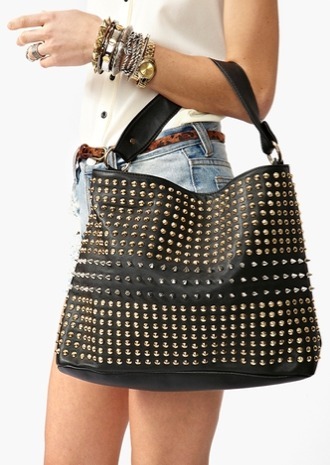 I am so in love with studs on clothing and accessories, it’s ridiculous. I feel like they bring out the edgier side of me. You can take the look of the outfit to the next level just by adding some studs; making a typical, classic outfit stand out far above the rest. I’m too obsessed with them that I just had to share with you my favorite fashion trend right now, just in time for your fall/winter wardrobe. 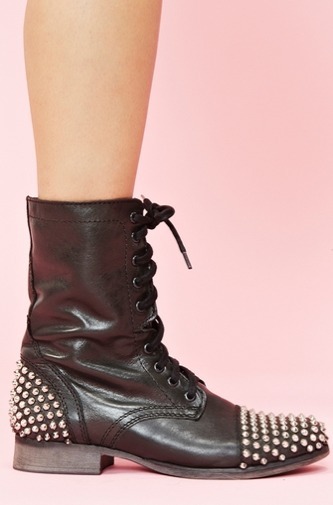 Are you daring enough to bring on the studs? The wait is over for me… I have finally upgraded from a non-existing Blackberry to the newest edition of the iPhone, the iPhone 5. I am so unbelievably in love with it, it’s ridiculous. Coming from a Blackberry, really anything at this point will be mind-blowing. But having plenty of Mac products, I have had my heart set on this phone for ages (or just since my last upgrade). Phones these days are insane, the things they can do is unreal. It’s so little and thin, yet it works so quickly and at the blink of an eye I have the answer to any question that I could possibly think of. Pure amazement. Not only have been anxiously and impatiently awaiting my new iPhone, but I have been dying to get on Instagram. And today I am happy to announce that this girl is finally on Instagram! I find Instagram to be such a fun and creative app, I could seriously look at it for hours. It’s even more addicting to me than Pinterest!